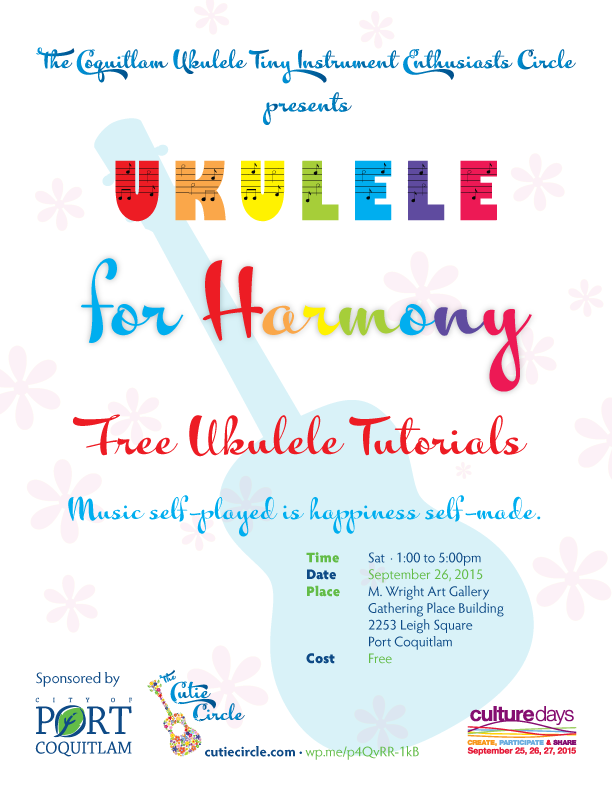 The Cutie Circle is offering free ukulele tutorials to absolute beginners as part of the nation-wide Culture Days effort! Come and join in on the fun. Learn to strum some chords and sing some songs with your fellow budding ukulele players! Let your inner musician shine and get a taste of what music can do for you! Get in on the soothing sounds so well-known in Hawaii and beyond! Ukuleles, music stands, etc. will be provided on site. All you have to do is bring yourself, your friends and family! Let’s play harmony together using the world’s happiest instrument. Music self-played is happiness self-made! This event is sponsored by the Cutie Circle and the City of Port Coquitlam. 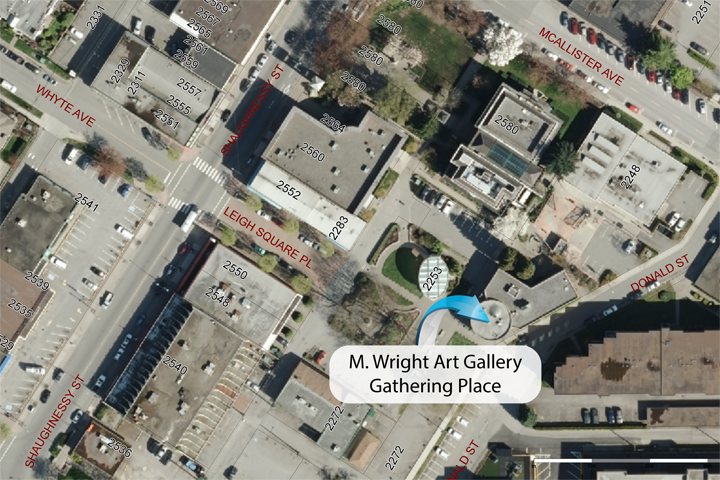 This entry was posted in Events, Posts and tagged Culture Days, Free Ukulele Tutorials, Gathering Place, Leigh Square, M. Wright Art Gallery, Port Coquitlam on September 18, 2015 by cutiecircle.